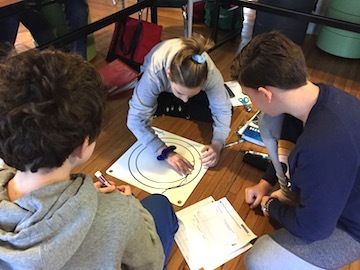 In math the 6th graders investigated the relationship between the diameter of a circle and the circumference. 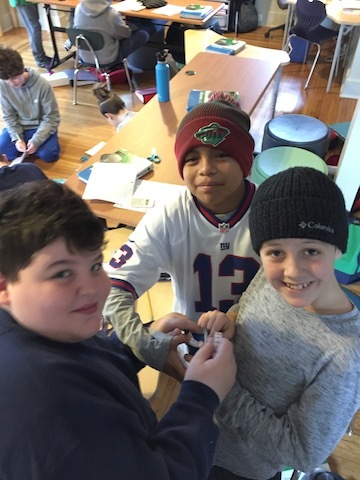 Using various circular classroom items, they first used a piece of yarn to measure the diameter, and then they figured out how many diameters fit in one circumference. 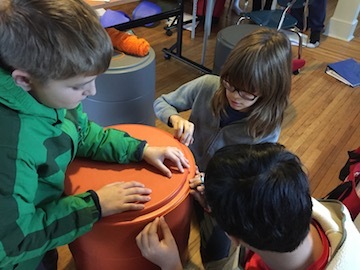 They discovered that there are about 3 1/7 or 3.14 diameters in the circumference. This measurement of Pi actually goes way back to the Babylonians who calculated Pi about 4000 years ago!